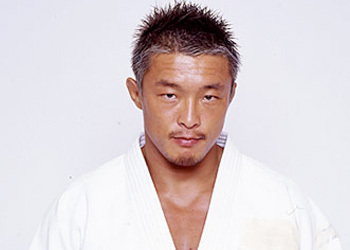 Akiyama is on for UFC 100? It is being reported that newly-signed middleweight sensation Yoshihiro Akiyama will be making his UFC debut against Alan Belcher at UFC 100. The July 11th event will be taking place at the Mandalay Bay Event Center in Las Vegas, Nevada. MMAJunkie.com spoke with sources close to the situation, and they confirmed that although no bout agreements have been signed, contracts should be in place shortly. The organization signed Akiyama last month in order to add some much needed depth to their 185-pound division. UFC president Dana White was thrilled that the talented Japanese fighter wanted to call the Octagon his new home. “UFC fans are going to love watching him because he always shows up to fight,” White stated. He currently holds a 12-1-0 record, which includes wins over Denis Kang and Melvin Manhoef. After his UFC 93 performance, the 24-year-old Belcher can now also claim that he owns Kang. After being man-handled for the better part of the 1stRound, he caught the slumping Kang in the 2ndRound with a guillotine choke.